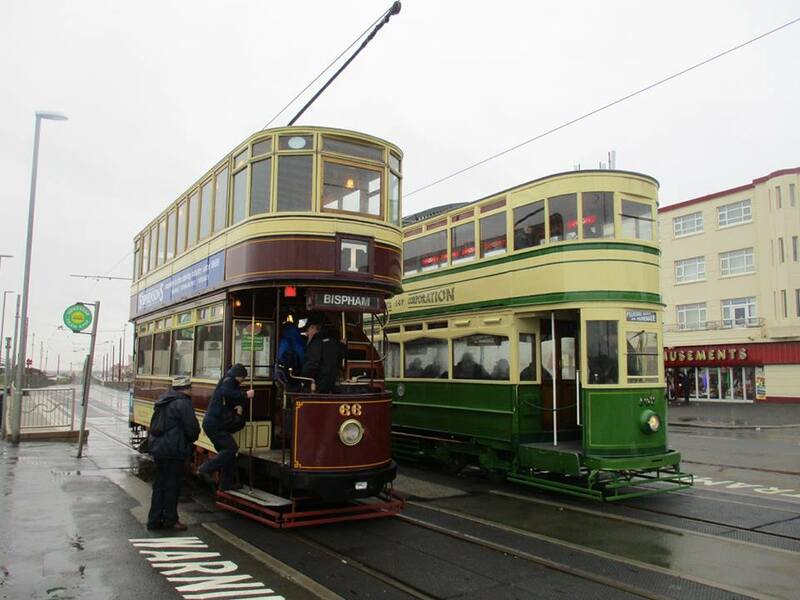 The Easter weekend provided the first three-day ‘Gold’ operating weekend for Blackpool’s much-loved heritage trams, with the newly repainted Standard 147 stealing the limelight. 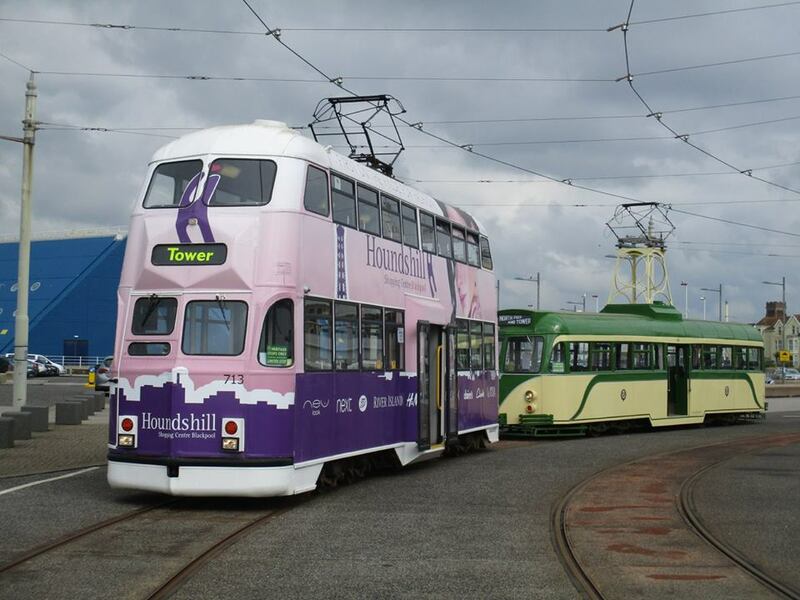 However, there were plenty of other trams out and about over the Bank Holiday weekend, with Bolton 66 and Balloon 719 also making their year debuts in passenger service, and what follows is a brief summary of what happened! Although not part of the ‘Gold’ weekend, Good Friday 30th March was, typically, the best day weather-wise of the whole weekend! Brush car 621 and Balloon 713 were both employed on the heritage promenade service, whilst in the evening, Trawler 737 was used for the ‘Great British Night Out’, with a fish and chip supper served to passengers. One downside of the otherwise welcome move of advertising which trams will operate promenade tours several days in advance, is that on a lovely sunny day such as this, the output didn’t really suit the weather – although seeing 713‘s attractive livery and 621‘s immaculate paintwork in the sunshine wasn’t too bad a deal! The main events got started on Saturday 31st March, with the six timetabled duties operated by Standard 147 (its first day back out following workshop attention), Brush car 631, Centenary car 648 and Balloons 700, 717 and 719 (year debut following removal of its snowplough). 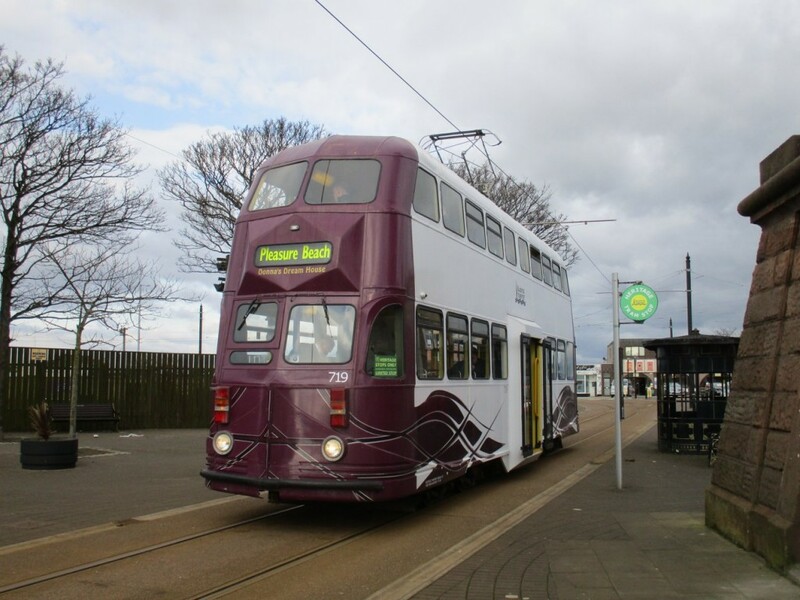 Sunday 1st April witnessed seven trams in use with the extra car, Bolton 66, working as a special and being directed around as required. The timetabled service was in the capable hands of Standard 147, Brush car 623, Railcoach 680 and Balloon cars 700, 701 and 715. Monday 2nd April was the worst day of all for weather with torrential rain, but unlike at Crich and Sheffield, at least there was no snow! 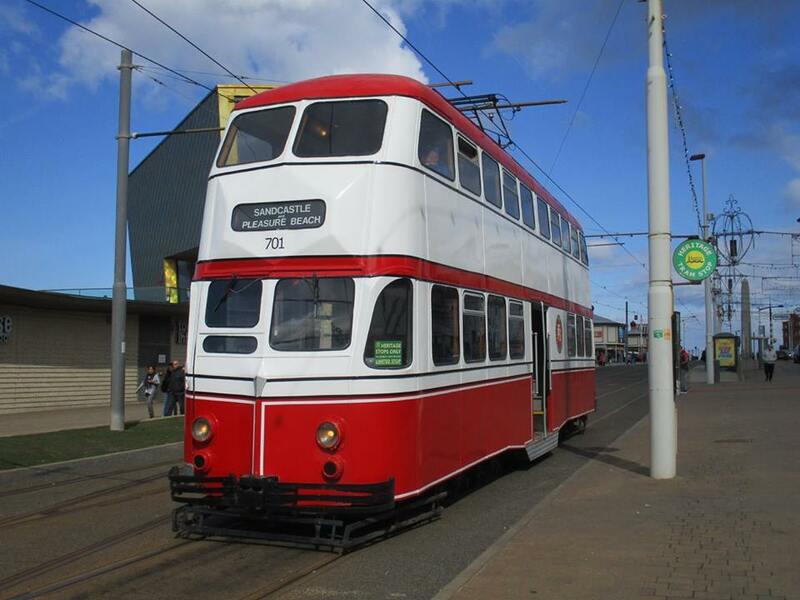 Again, seven heritage trams ran: Bolton 66, Standard 147, Brush cars 621 and 630, Balloons 700 and 723, and Millennium car 718. Of these, 66 was a surprise replacement for a defective Box car 40 but it too was later substituted for Brush car 623 due to the appalling weather conditions. The day, and indeed the weekend, concluded with a ‘Ghost Tram’ tour in the evening and this was worked by Balloon 717. Very sadly, the whole weekend was marred by tragedy as a member of the heritage team passed away on the Saturday. It is quite remarkable that a full service continued to run after such a sad event, and the level of professionalism shown over what must have been an incredibly difficult few days was most impressive. Good Friday saw cars 713 & 621 working promenade tours, and the pair are seen together on the Pleasure Beach outer loop that afternoon. Modernised Balloon car 719's first outing of the year came on Saturday 31st March, when it was captured on Pharos Street in Fleetwood. For a Bank Holiday weekend, Easter Sunday was actually pretty sunny - as highlighted by this view of FTS sponsored Balloon 701 at North Pier. Looks like a great weekends activities. I have booked for one of the gold weekends later in the year and cannot wait! I notice that the twin cars do not feature much – any news on if they will be out later in the year? No Twin cars are currently serviceable and none have run since September 2016. Set 5 is believed to be under attention presently (although this hasn’t been officially confirmed) and may well return to use later in the year. If not I’d expect it out in 2019.